There are several options in Sorrento Valley when it comes to full service vending, office coffee service and water filtration. That’s why we want to meet with you personally to show you what we can do. A free, no-obligation consultation is the first example of our dedication to customer service. 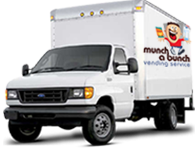 Munch a Bunch Vending can take care of the needs of your Sorrento Valley establishment just like it has been since 1987! Vending machines can offer a variety of wonderful products, and your Sorrento Valley business can have them installed by Munch a Bunch Vending at no charge. We also will keep them filled, serviced, cleaned and have new vending machines for you with the latest and greatest technology – again at no charge. You read that right – you'll never get charged for anything unless you choose to participate in a subsidized or free vending program. Every machine comes equipped with Sure-Vend infrared technology that guarantees your product is dropped or gives you instant credit. If you have a large staff, your Sorrento Valley business can also have a Micro Market installed with a self checkout kiosk. Make your break room an oasis with office coffee services in Sorrento Valley from Munch a Bunch Vending. We'll bring in state of the art brewing equipment, great coffee selections, tea, hot chocolate and much more. Then we'll make sure to fully stock your break room shelves. You'll never run out of cups, napkins, paper towels, utensils, sweeteners, sugar or creamers. Everything will be ready to use at all hours of the day. No more leaving to head to the local Sorrento Valley coffee shop, just a short stroll to the break room. Munch a Bunch Vending is also your solution for water filtration. We provide plumbed in units that deliver hot and cold filtered water on demand. It couldn't be easier to get started with us. One phone call is al it takes. 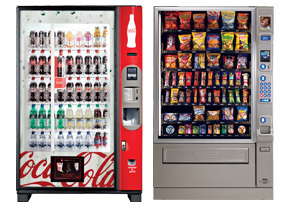 Contact Munch a Bunch Vending today at 760-480-0870 or mabvending@yahoo.com.